When Harry Potter and The Death Hallows Part 2 came out in cinemas in 2011, fans felt both a sense of excitement and sadness. Although we got the satisfaction of seeing the final book come to screen, it also meant there would be no more Harry Potter films. I spent a year mourning this fact, until in spring 2012, Warner Brothers opened the doors to Leavesden Studios with the Harry Potter Studio Tour. The tour revealed all the filmmaking secrets, visual wonders, and showed how the magic came to life on the big screen. It was one of the most enjoyable experiences of my life, and every year after, I dreamt of going again. When I found out that the tour had added new features to experience, I knew I had to make a return visit, and thus my birthday present was set. So what are the new features? 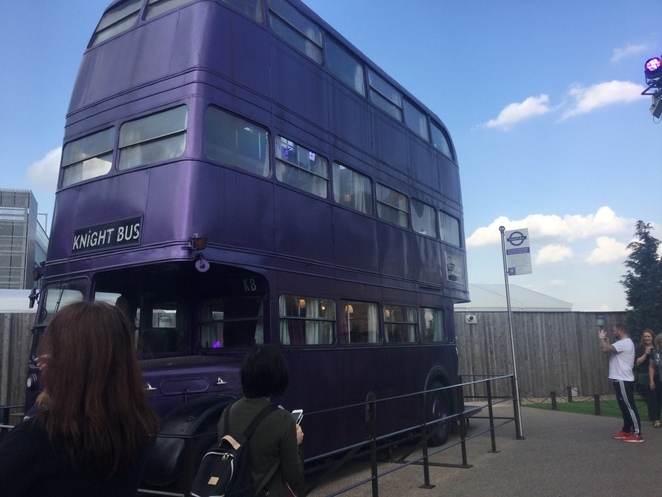 Well, there are two new areas to explore, including The Forbidden Forest and Platform 9 ¾. There are also two new gift shops, a new green screen photoshoot opportunity, and butterbeer ice cream. Booking is a lot easier now than when it first opened. The process is the same, but it is no longer necessary to book several months in advance to get the date and time you want. When it first opened, everyone wanted to go all at once, and so the places filled up very quickly. The earliest date available for me had been about two months away. Now, however, if you can get a booking for just a few days later. Most people travelling to the studio will be coming via Watford Junction Station. From here, there is a shuttle bus that takes you to the studio and then takes you back to the station at the end of the day. 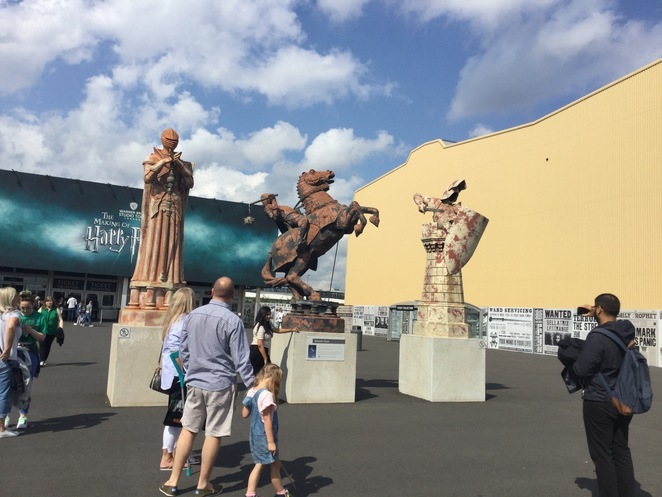 The front lot, where you collect your tickets, gives just a hint of what's to come with walls covered in print covers of the Daily Prophet, and three large statues of the original chess pieces used in the first film. Everyone seemed to want to get their photo taken in front of the Knight, but my favourite set piece has always been the Queen. Once inside, you can drop off any bags or coats at the cloakroom, collect your digital guide (if you bought one), visit the main gift shop, or have something to eat before your tour begins. With an hour to spare before our tour started, my dad and I decided to have lunch at the first cafe. There are a selection of pre-made packaged meals, such as salads and sandwiches. There is also a range of hot meals, including a Vegetarian/Full English Breakfast, Chicken Wings, and Soup. I went for a Mediterranean Salad, while my dad had a Jacket Potato with Beans. It took about ten minutes for our food to arrive, during which time, we ordered a couple of coffees from the adjacent Starbucks. 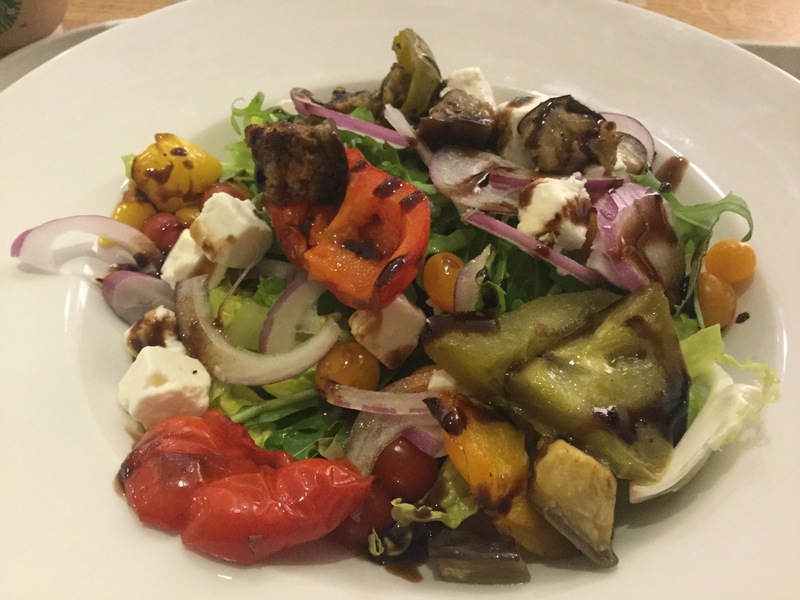 My salad was full of rich flavours, from the goat's cheese to the roasted peppers. I liked that they used a balsamic dressing rather than a vinaigrette, which meant that it remained a healthy, low-calorie meal. The Backlot Cafe is where the cast & crew used to eat in between filming. If you have ever watched the special features of the Harry Potter DVDs, you might spot the space in some of the behind the scenes clips. The cafe has the same packaged meals available at the Studio Cafe, but it has a different hot menu, which includes steaks burgers, hot dogs, etc. To be honest, I didn't see anyone tucking into these meals while I was there, and there is a simple reason for this: Butterbeer. 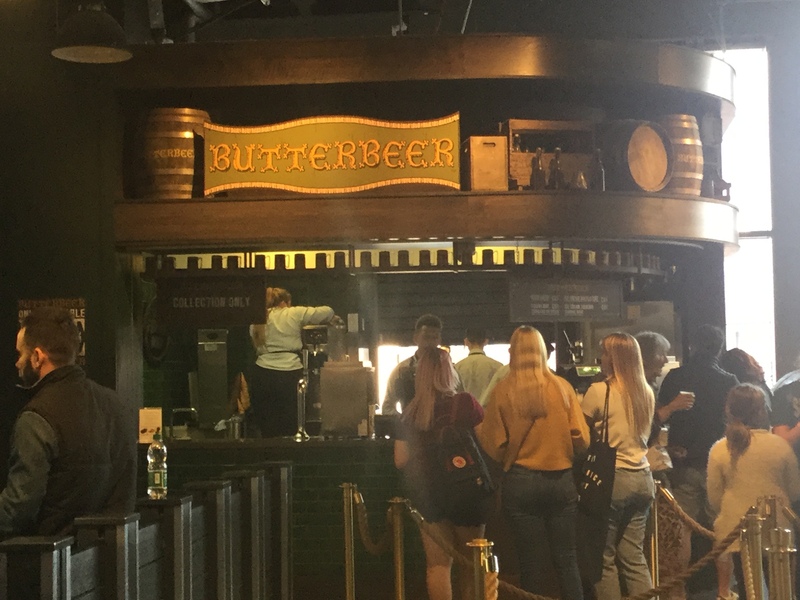 Butterbeer is all anyone is after when they reach this cafe. 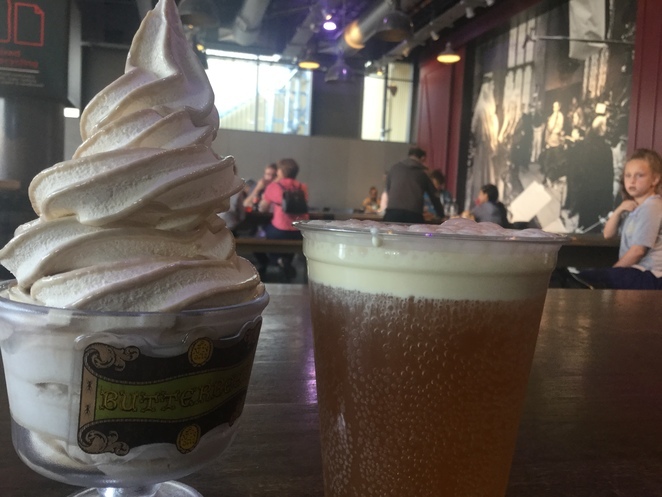 You can get your butterbeer in its traditional drink form or try their new ice cream. If you buy the larger size of either of these, you get to keep the souvenir tankard/tub that it comes in. While I was in the queue I tried to decide which to have, but by the time it was our turn, I still hadn't made my decision, so to save myself from any difficult choices, I ordered both. The drink tasted of sparkling caramel with a creamy foam, while the (very thick and filling) ice cream tasted of delicious butterscotch. While all the gift shops sell a number of the same things (wands, sweets, etc), each also has their own exclusive items. 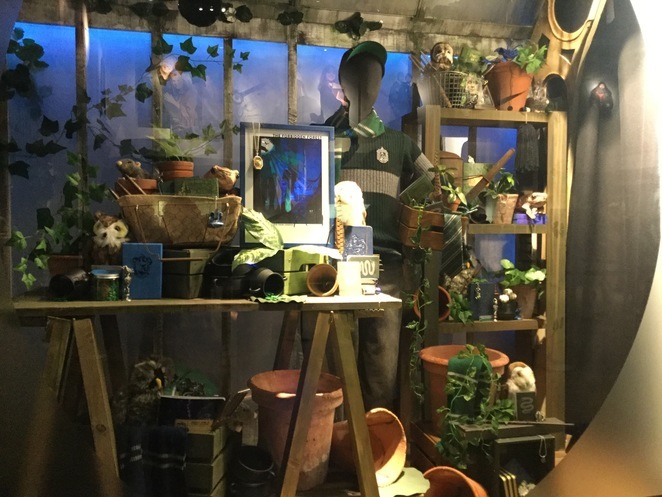 As you might expect, the Forbidden Forest Shop is based around magical creatures. 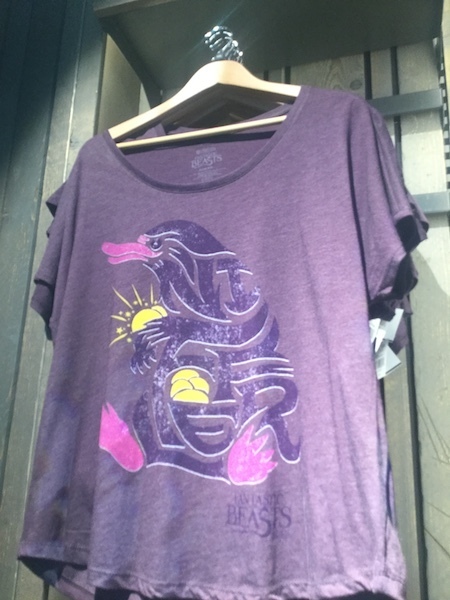 My favourite piece of merchandise in this shop was a Niffler t-shirt. 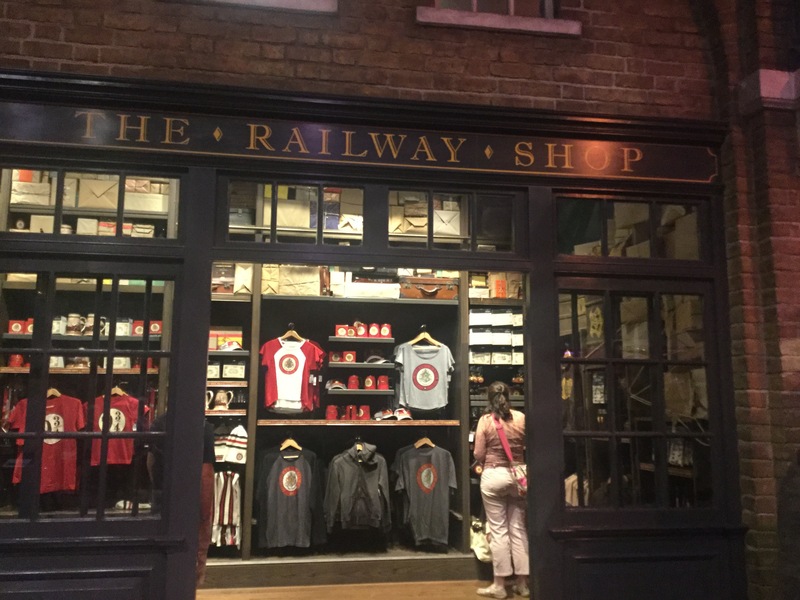 There are a lot of exclusive items in this shop, such as an 'Alohomora' welcome mat and Platform 9 ¾ thermal flasks, cushions, and bags. The Studio Shop has a greater variety than any of the other shops and can be accessed before you start your tour as well as at the end. There is a huge selection of clothing for both children and adults. These include house-related gear and character outfits. My favourites were the Weasley jumpers. 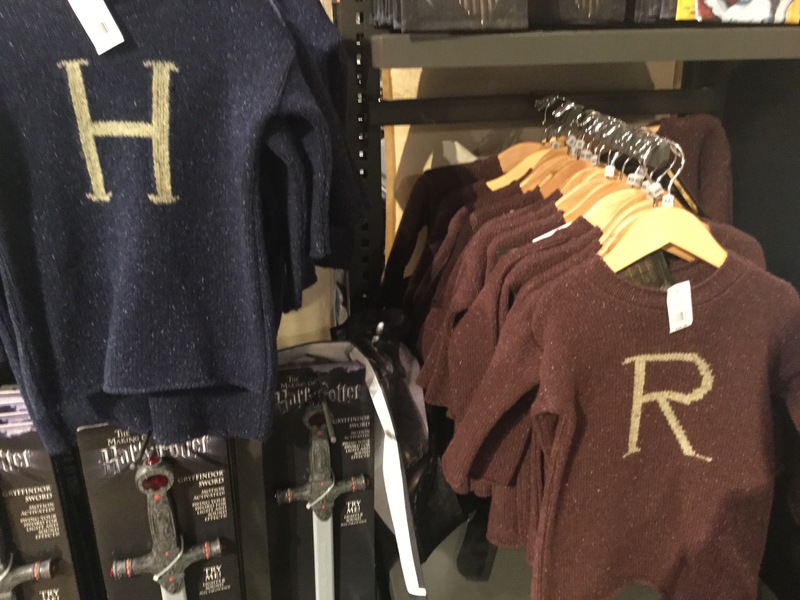 There were children sizes for Harry and Ron and adult sizes for Fred and George. I ended up getting a pair of Slytherin Socks, shorts, and the Sorting Hat. You can buy wand replicas for several different characters, even those from the film Fantastic Beasts and Where to Find Them. You can get the latest cover editions of the Harry Potter books, as well as 'Making of' books, colouring books, and pop-up books, and of course a Souvenir Guide Book. It is just like entering a wizarding shop in Diagon Alley or Hogsmeade. Even if you have been to The Harry Potter Studio Tour before, you will likely be able to discover something new because various themes are featured every few months. Regular themes have included Animal Actors, Halloween & Christmas, Duelling & The Dark Arts, and a focus on particular films. 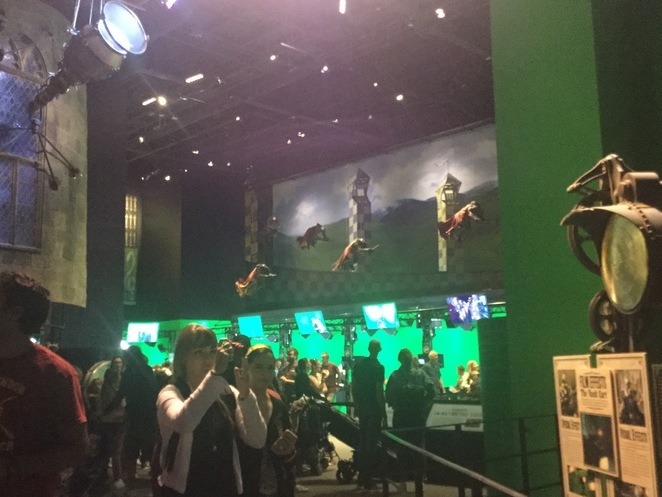 When I went, the focus was on The Goblet of Fire, and we received a live demonstration of the Goblet picking out Triwizard Champions. When you start the tour you enter an anteroom filled will with international posters from all the films. Some of them look stunning, and I am slightly jealous that they weren't the UK versions. You will then be taken into a cinema room for an introductory video. The seats are so comfortable that I was reluctant to get up. That didn't last very long though. 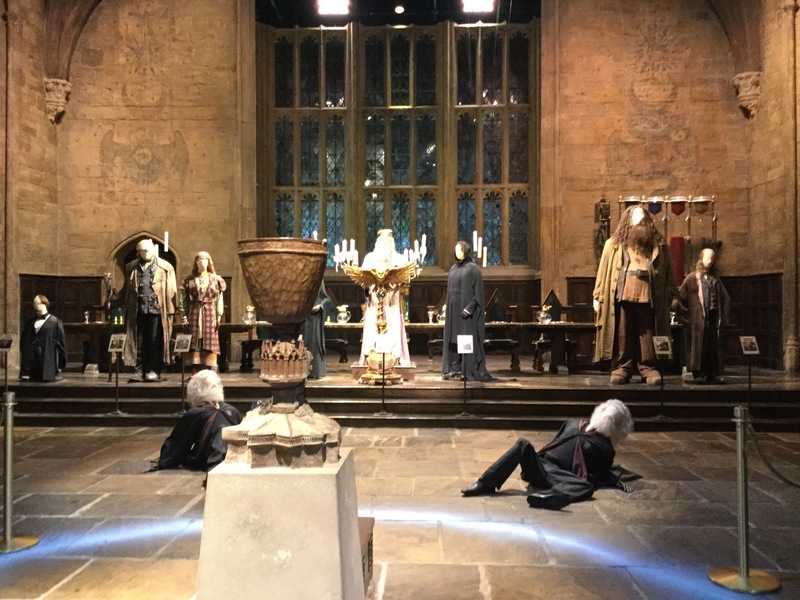 The screen rolled up all those celebrating their birthday were summoned to the front to open a large double door, and thus I, and three others pushed open the entrance to the Great Hall, where the tour officially began. Beyond the Great Hall was a giant room filled with sets, props, and interactive experiences. 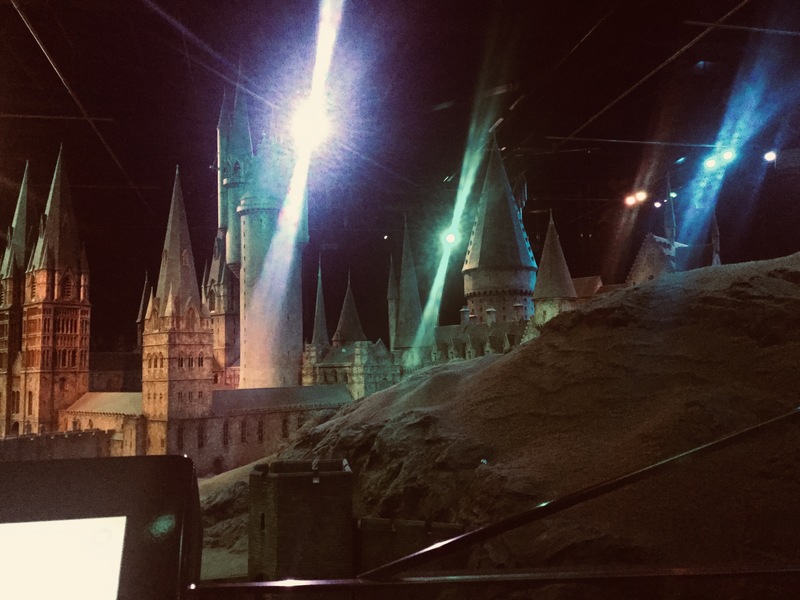 My favourite was the Potions Classroom, which was filled with over a thousand bottled ingredients, stirring cauldrons, and costumed mannequins of the two potions professors. 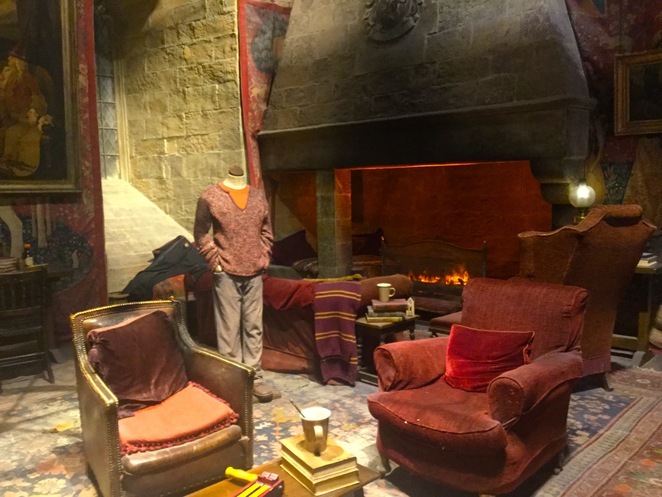 One of the most iconic sets in the films is the Gryffindor Common room, which looks beautiful, but is also surprisingly small given how spacious it looks on screen. It is also surprising to see just how small the dormitory beds are. They are the same ones used in The Philosopher's Stone when the boys were eleven years old. As the actors got older, they obviously grew bigger. The beds, however, did not, so they had to curl up on them in order fit. 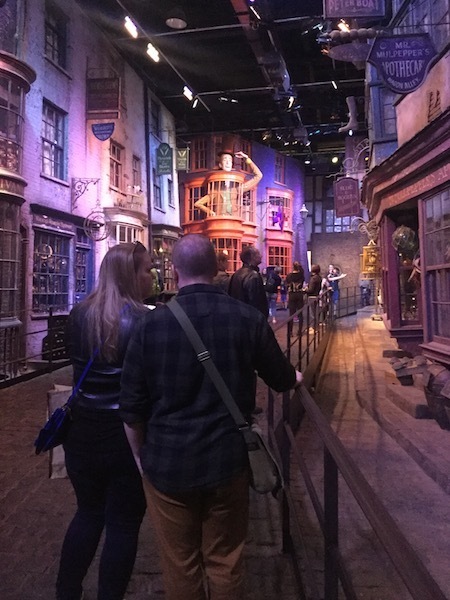 One of the most interactive features on the tour is the chance to 'fly' a broomstick. 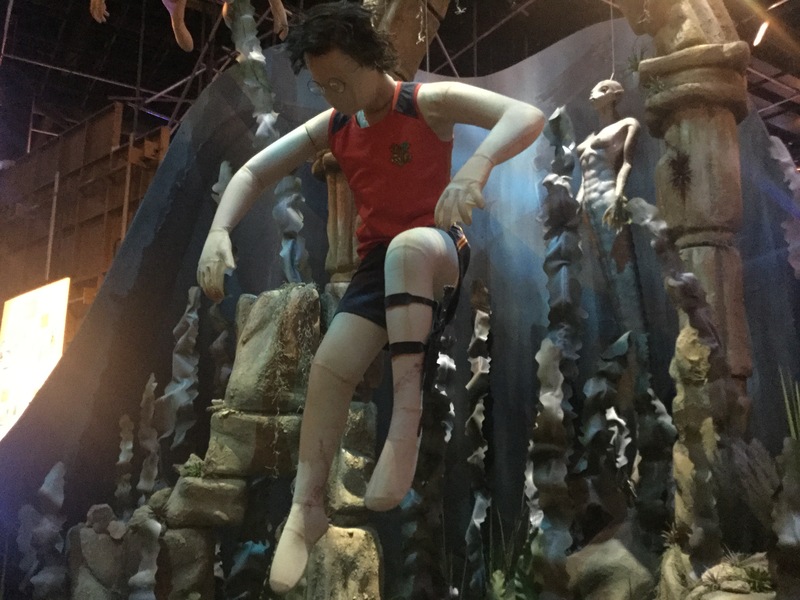 You sit on an animatronic broom and pretend to fly in front of a green screen. You can then choose a background (e.g. Hogwarts Castle, The Great Lake, etc), and your photo will be taken. After that, there is a booth where you can purchase the photo. Outside on the backlot, you can admire the Knight Bus, Flying Ford Angelia, and Sirus'/Hagrid's motorbike. Don't forget to take a stroll through the Dursely's house and walk across the Hogwarts bridge, introduced in the Prisoner of Azkaban and blown up by Neville in Deathly Hallow Part 2. 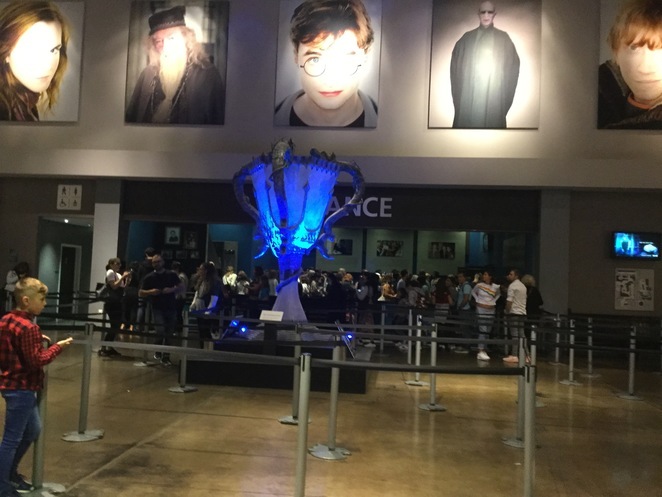 Back inside, you'll learn all about the makeup and animatronics involved in creating magical beasts & beings like the goblins, buckbeak, and Fawkes the Phoenix. 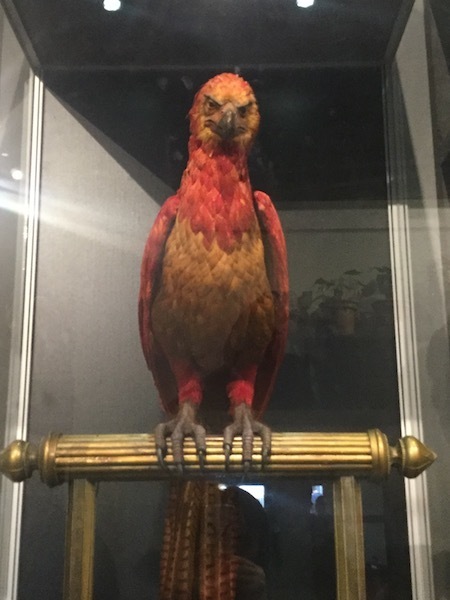 There is a well-known anecdote about the late Richard Harris, (who played Dumbledore in the first two films), who thought the animatronic bird was actually real. It is a story that makes me laugh, but when you see Fawkes in front of you, it becomes clear why he thought this. The phoenix looks even more realistic up close that it does on the screen. It just looks like an exotic rainforest bird. The most memorable experience from my previous visit was Diagon Alley, and coming back again reminded me why. The intricate set is a spectacle to behold, especially the vividly orange Weasely Wizard Wheezes. The only thing that could make the Diagon Alley set better would be if you could go inside the shops. Last but not least, was my dad's favourite part of the whole tour. The giant model of Hogwarts Castle It is craftsmanship at its best, and you can never grasp quite how impressive the model is unless you see it for yourself and walk the whole 360º around. My biggest reason for wanting to return was because I wanted to see the new features. I'm glad to say they went well beyond my expectations. Hagrid stands at the gate to The Forbidden Forest, which is very atmospheric. The asphalt floor feels just like your walking on forest earth and there are several interactive buttons as you walk through, which allows you to switch between night & day, and add lightning, thunder, and howling wind effects. 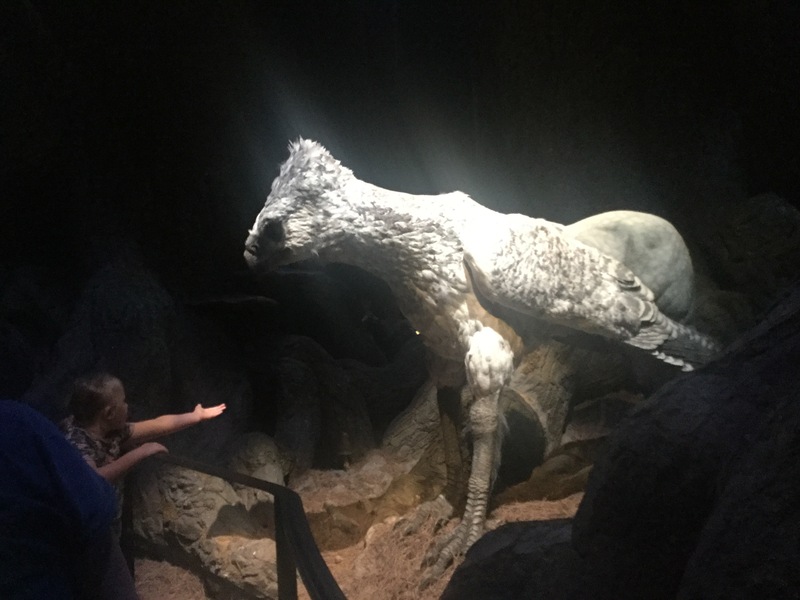 You will encounter several creatures in the forest, including Buckbeak, Aragog, and a werewolf. And just when you've been creeped out enough, you exit the forest to the most magical set of all. As I walked onto Platform 9 ¾, I felt like I was Harry going through the barrier for the first time. 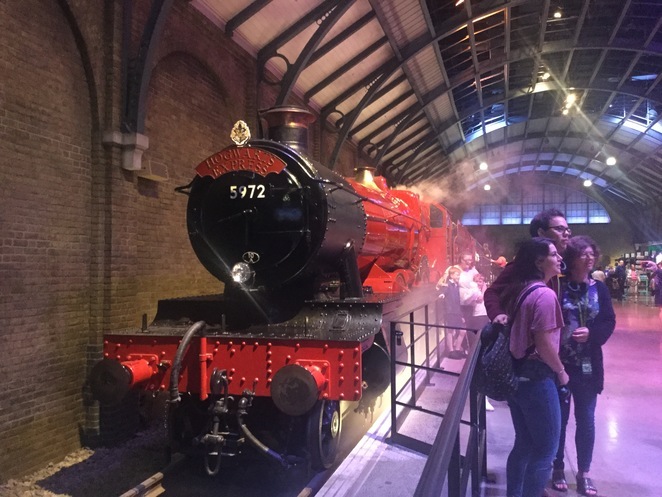 Nothing beat seeing the original Hogwarts Express, gleaming red and billowing steam. I think it is the most iconic moment in all the film and books; it sums up the world of Harry Potter and the excitement and wonder I first felt when I saw/read about that moment for the first time as a child. Not only can you view the train from the outside, but you can also board it. 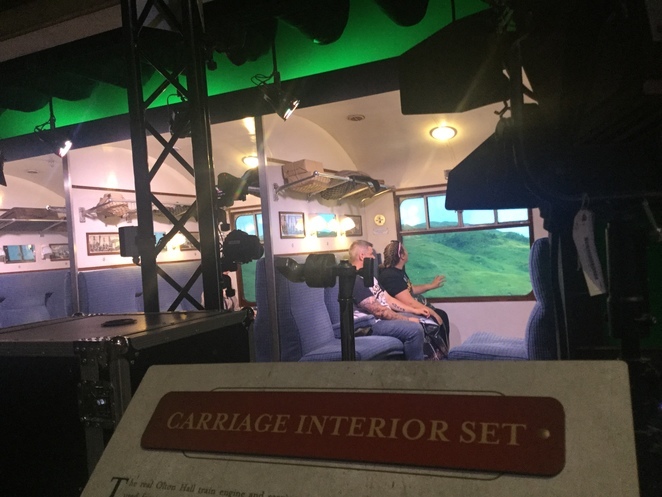 Each carriage on the train is representative of one of Harry's journeys to Hogwarts. Opposite the train is another set of stage-built interior carriages. Just like with the broom-flying, you can sit in these seats, look out to a green screen window and have your photo taken as you react to a jumping chocolate frog or dementor.